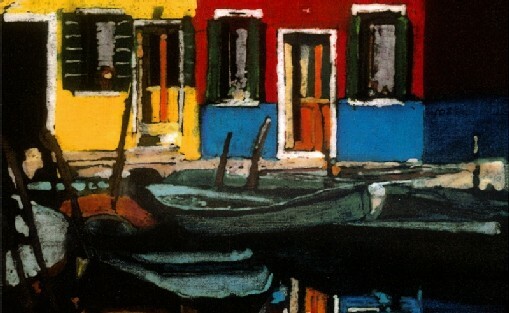 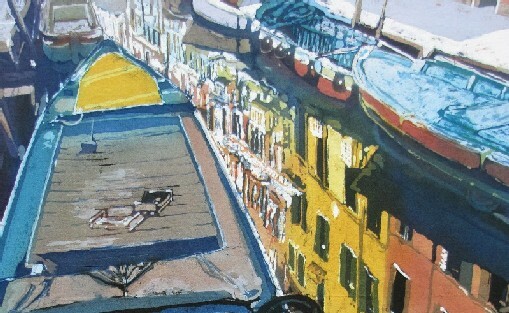 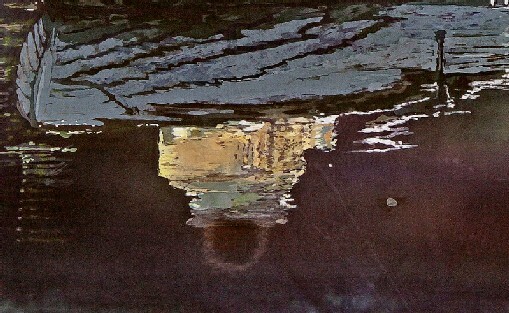 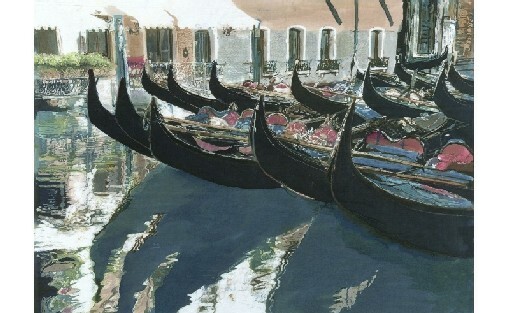 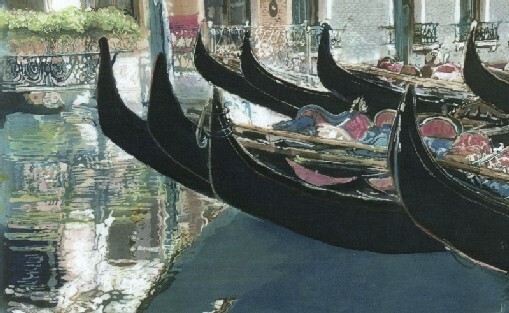 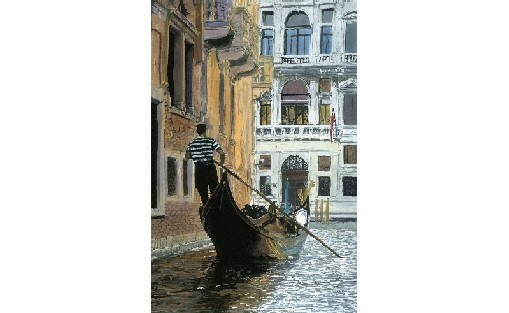 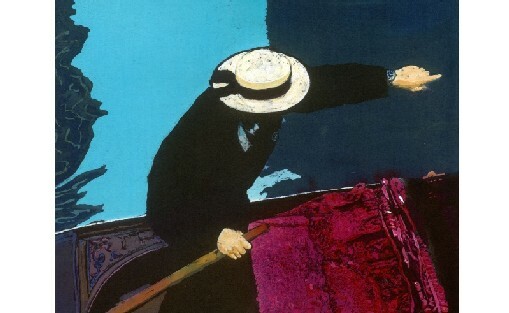 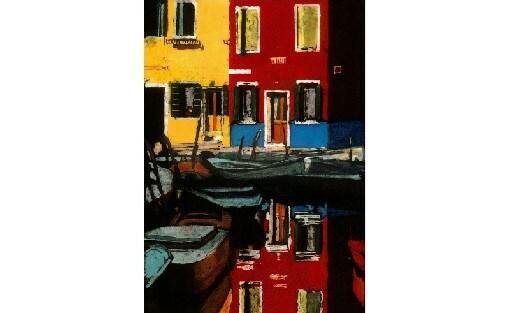 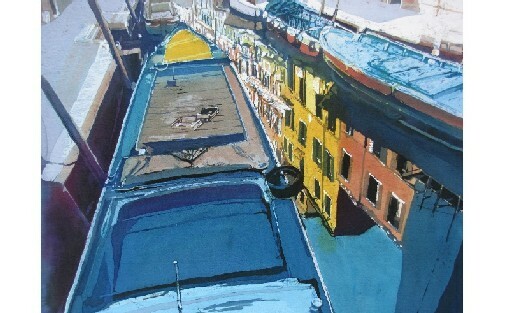 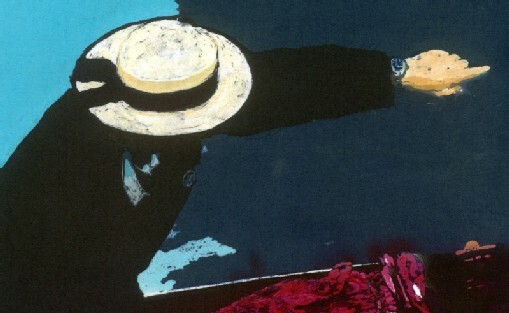 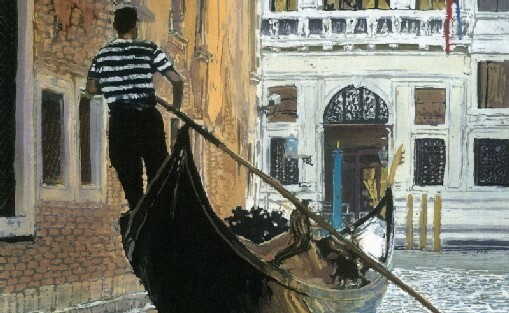 An unusual view of a gondolier rowing a gondola and pointing out something he's seen ahead. 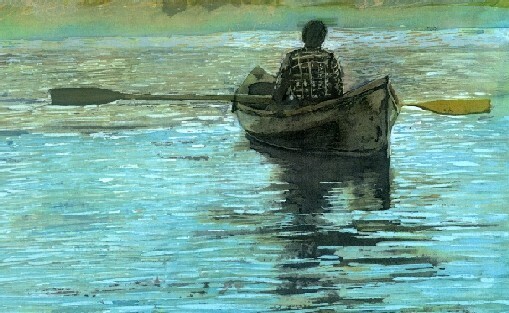 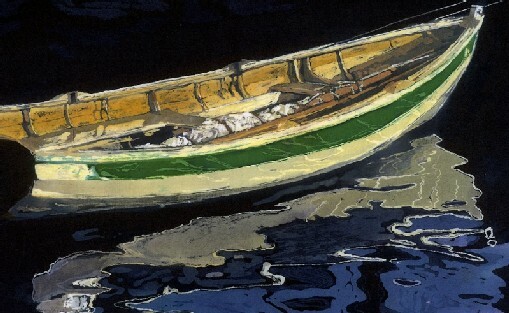 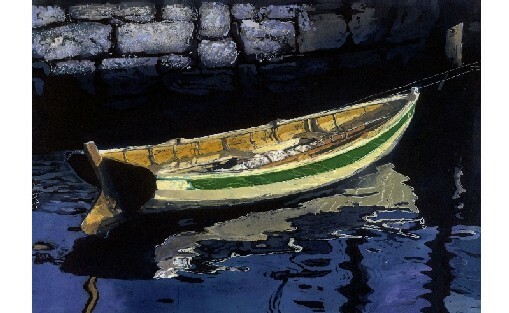 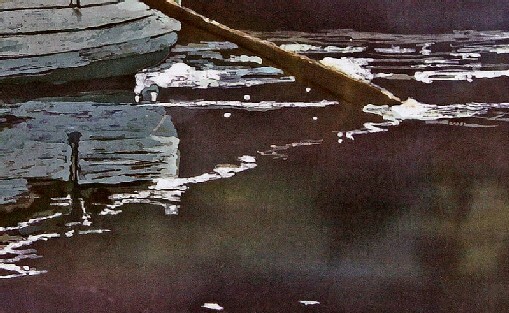 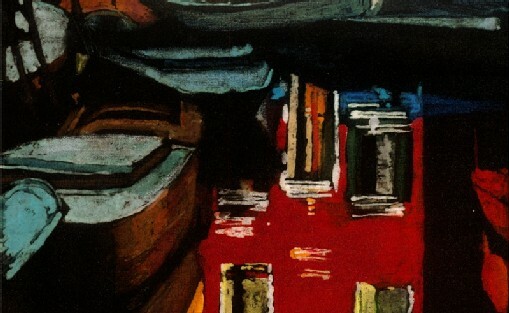 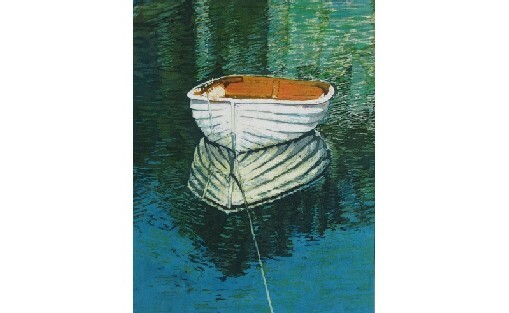 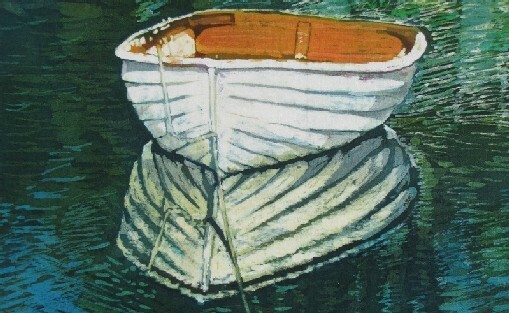 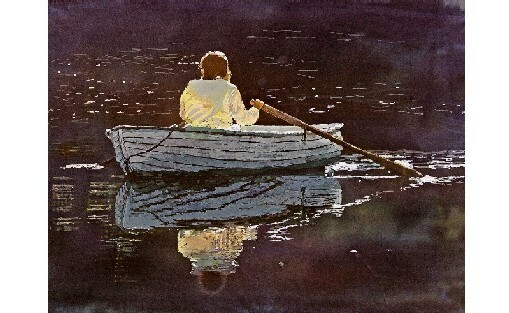 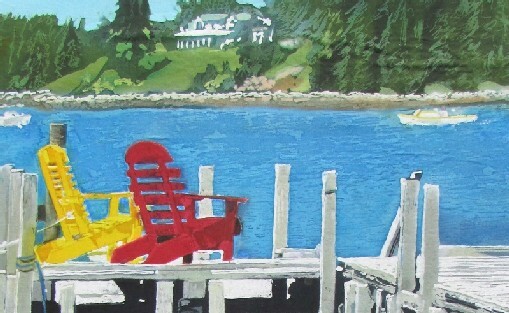 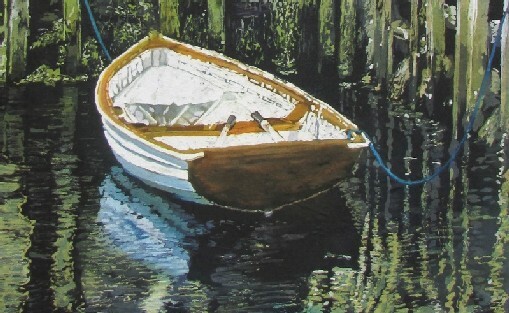 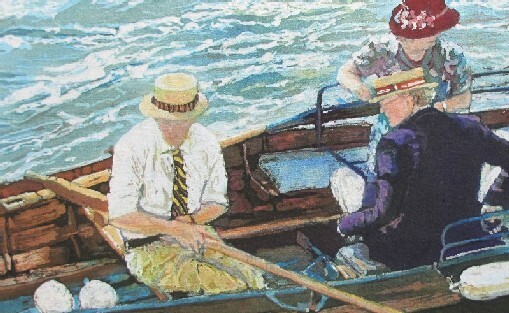 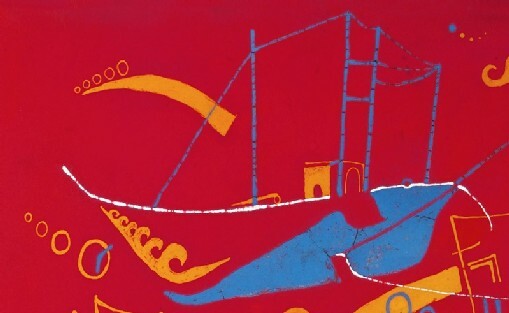 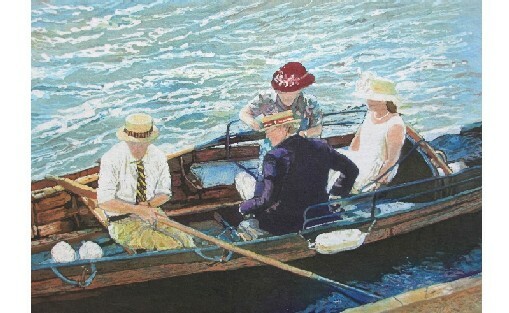 A batik painting of a green and yellow lapstrake boat. 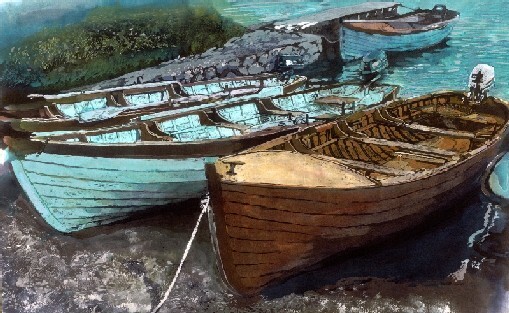 Lapstrake wooden boats pulled up on a beach. 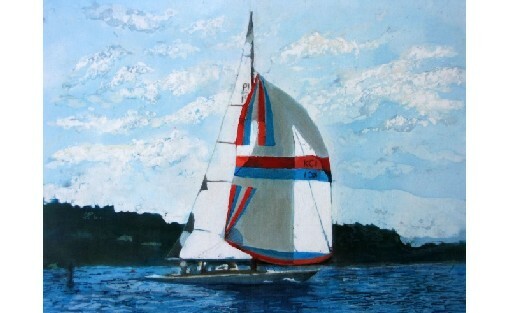 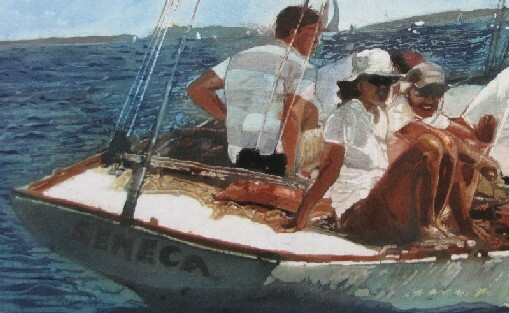 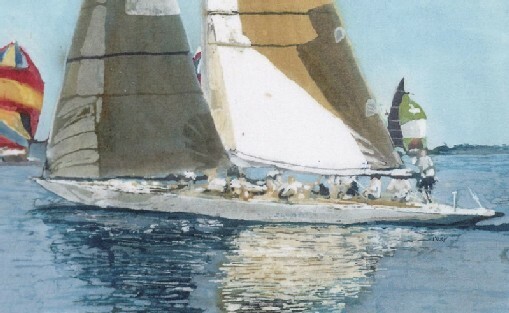 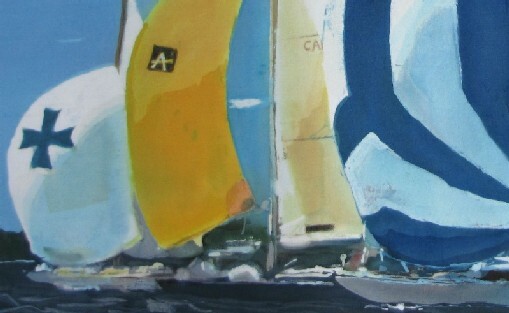 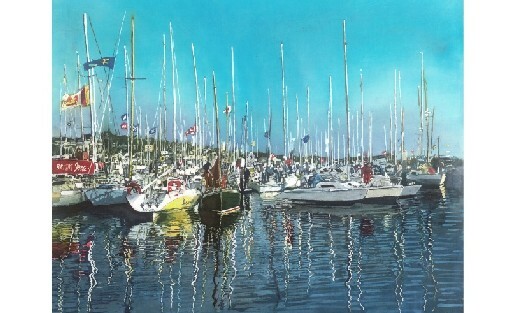 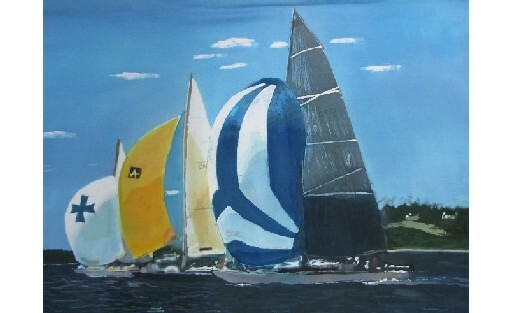 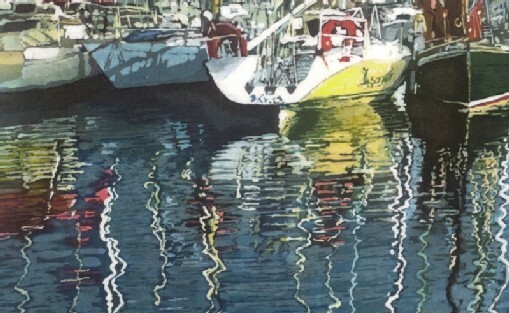 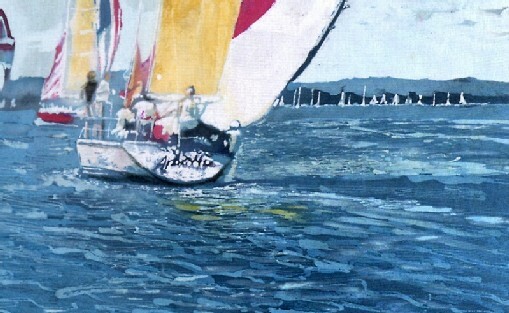 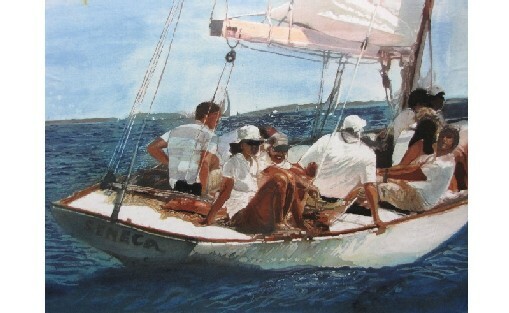 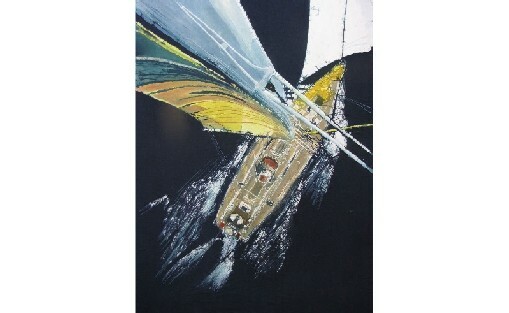 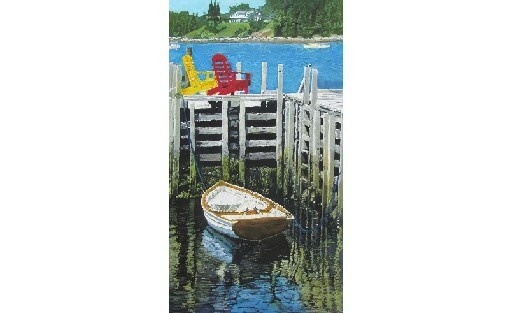 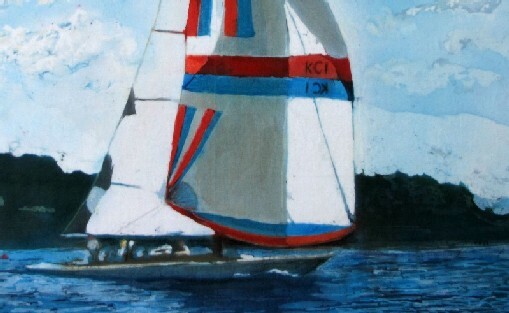 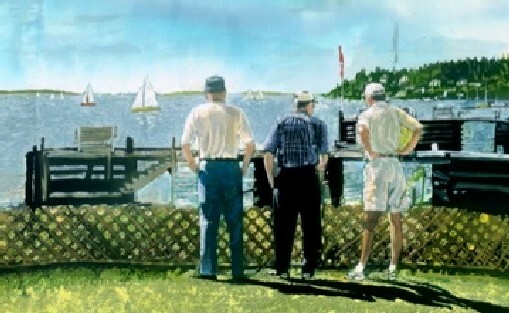 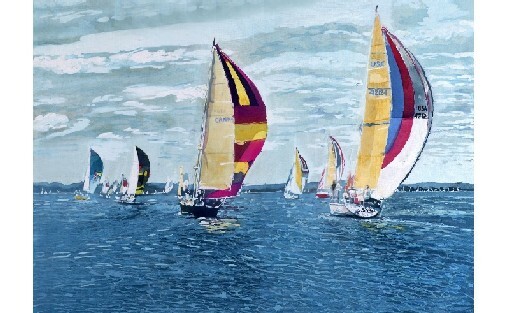 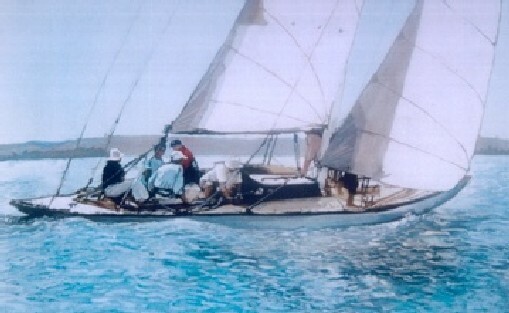 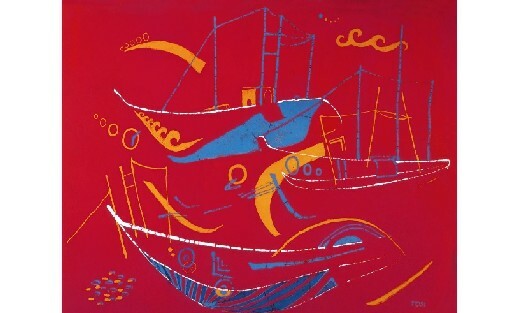 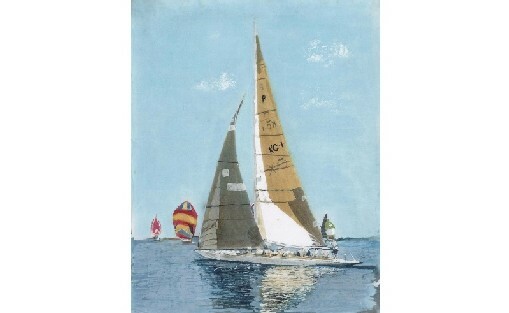 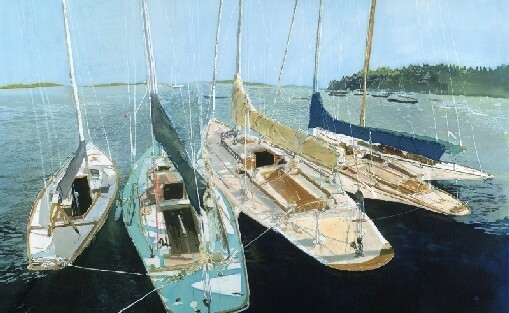 A batik painting of yachts on a spinnaker run during Chester Race Week, Nova Scotia, Canada. 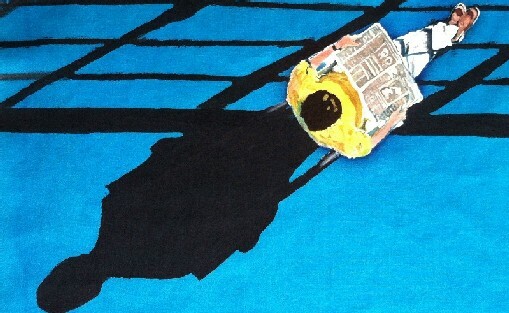 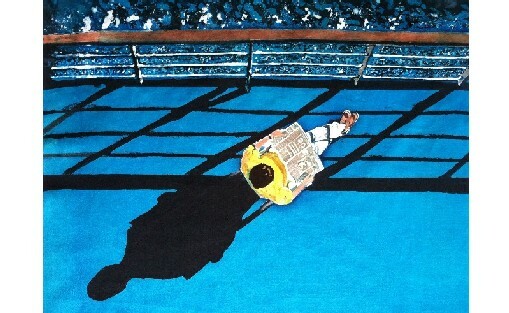 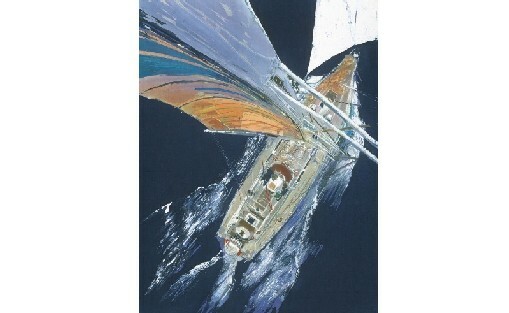 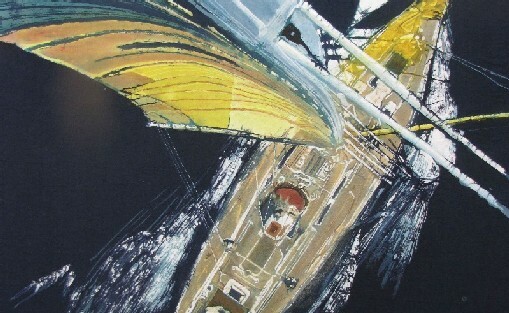 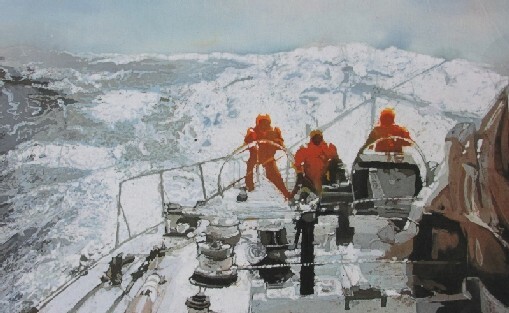 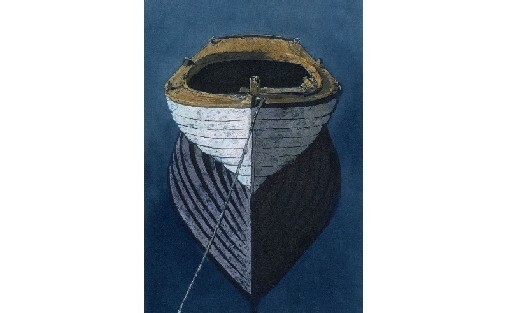 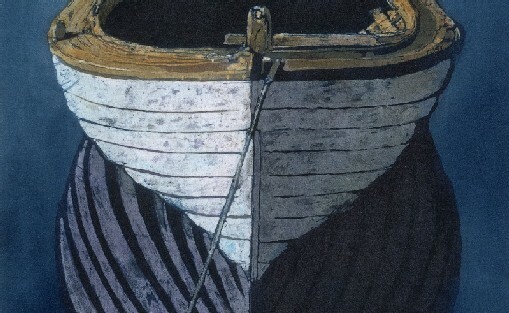 A batik painting of the 'View from the Crow's Nest' of the 72 foot yacht 'Me to You' as she raced in the 'Round Ireland Race' in 2006.